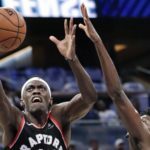 If there is anything to take away from the Toronto Raptors season, it’s that they really struggle to shoot the ball. The second unit has failed to live up to last year’s standards and the aging Kyle Lowry has seen his offensive production taper off. What has been plaguing both Lowry and the bench this year has simply been the inability to step out and make long-range shots. 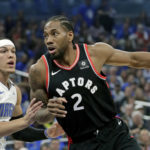 That being said, with the NBA trade deadline less than a week away, the Raptors front office will have some big decisions to make – decisions that will make or break this team’s season. 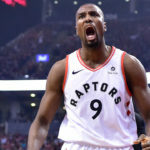 As for the trade market, it has quite a few pieces that can really go a long way in helping the Raptors, and here are five potential trade target that can help this Eastern Conference powerhouse take the next step. Wayne Ellington has seemingly fallen out the Miami Heat rotation after having a career season just one year prior. Playing on an expiring contract, Ellington is still a 38% three-point shooter for his career and would add valuable spacing for the Raptors. Averaging 8.4 points per game while shooting 36.8% from deep this season, the Raptors could use Ellington’s deteriorating situation in Miami as a way to lure him out of South Beach for cheap. Although still on his rookie contract, it seems as though the Atlanta Hawks are willing to part ways with their 24-year old wing player. Eligible for his rookie-scale extension this summer, he could provide the Raptors with some range and scoring off the pine. Averaging 13.4 points on the season, while shooting 35.8% from beyond the arc, the 6-foot-8 forward out of Baylor University may be able to provide just the spark the Raptors second unit is looking for. 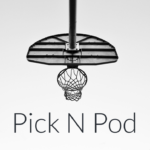 How about a return for a former Raptors’ lottery pick? Terrence Ross is in the midst of a career season after suffering a gruesome leg injury that prematurely ended his 2017-18 campaign. Averaging 14.3 points per game and on an expiring contract, Ross should be able to fetch the Orlando Magic some nice future assets. The athletic wing has been one of the game’s bench players and has shot 38.2% from long range this season. Of course, acquiring Anthony Davis would be quite the coup, but there are other names of value on the New Orleans Pelicans roster. As the Pelicans begin to look towards the future, no player is safe, that includes both E’Twaun Moore and Nikola Mirotic. Mirotic is a very valuable expiring contract – a stretch four who can rebound and shoot the three. Meanwhile, Moore has an extra year on his contract, but the deal comes in at under $10-million dollars for next season. 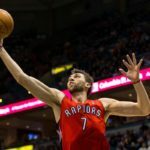 If shooting is what the Raptors are missing, getting two players who boost a team’s firepower from deep is better than simply getting one. Either Twitter is playing some sick joke on the psych of Raptors fans or there is actually a pretty big chance of the Raptors landing the big fish at the deadline. Masai Ujiri didn’t go all in on Kawhi Leonard to not roll the dice once more at the trade deadline.